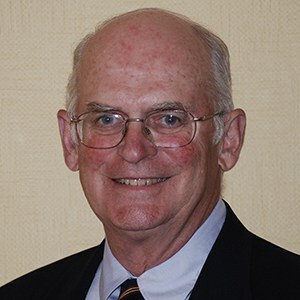 The Sam Tobey Lifetime Achievement Award is given to an individual whose long-term support of the Society’s principles and whose efforts to promote the goals of the Society are deserving of special recognition by his or her peers. Originally the award was named the ASIC Lifetime Achievement Award but was renamed in honor of Sam Tobey – the 2000 recipient of the award who passed away in February of 2002. Any member of the Society may submit nominations for this award. Steve Hohl’s contribution to the continued success of ASIC cannot be overstated. Steve has the remarkable quality of finding consensus in a group, and of finding the right words to distill a wandering discussion. He gives and receives the utmost professional respect in his interactions with others and always makes himself available—never saying no to another request for his time and valued input. Steve has served on the Board of Directors since 2002—a total of sixteen continuous years, ten of those years as an officer. He has served as Treasurer, Secretary, Vice President, President, and Past President, including one additional two-year term as Past President, sitting in for Ivy Munion. In addition to his contribution on the Board of Directors, he has been and continues to be involved in countless committees including membership, certification, and annual conference planning. Steve is Principal and Owner of Water Concern, LLC, in Rancho Santa Margarita, California. Water Concern LLC was established in 2000, and currently has a staff of 7. Their office is involved in large scale, high profile projects, primarily in Southern California. Steve’s professional contribution to the industry was recognized in 2017 and was elected an ASIC Fellow, joining a prestigious group of irrigation design professionals. In addition to Steve’s contributions to ASIC, Steve’s wife Lisa has been an active behind the scenes contributor to ASIC’s efforts and deserves recognition as well. Lisa currently serves as office manager of Water Concern, LLC. If you participate in the California landscape, then you know Daryl Green. He has an energy and tireless passion for the industry that is channeled through his goal to keep the industry unified through communication, education and awareness. He has volunteered countless hours to both the Northern and Southern California chapters of American Society of Irrigation Consultants (ASIC). He has served on ASIC SoCal Boards of Directors and chaired numerous fund raisers and technical meetings for countless years. Green Product Sales was founded in 2005 by Daryl Green as a product representation and technical resources company that focuses on water related products designed for all aspects of the irrigation trade. He represents multiple water management product lines and provides sales and support for his clients. Products include pumping systems, irrigation control systems, injection systems and water reuse systems. 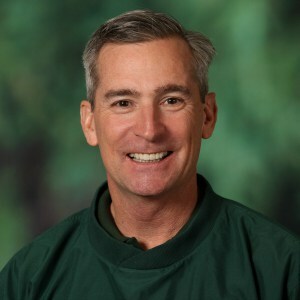 Prior to forming Green Product Sales, Daryl worked as District Manager for United Green Tech, Inc. and was the Landscape and Irrigation Coordinator for the planned community of Cota De Caza. A graduate of California Polytechnic State University, he has used his degree in Ornamental Horticulture and Landscape Contracting to serve the industry with passion and expertize. Linda Davis used her vast hospitality knowledge and networks to help manage successful ASIC educational conferences for more than 10 years – first as an employee with Rain Bird and later as a volunteer after retiring from Rain Bird. Linda joined Rain Bird in 1996 as corporate event planner, developing, planning and managing contractor, specifier and distributor events and trade shows. Her talent and experience planning events across the U.S. have greatly benefited the Society, making ASIC conferences more appealing, affordable and accessible, while enabling Society officers to concentrate on critical educational components of the conferences. Irrigation and Green Industry champion Lynda Wightman is director of Industry Relations for Hunter Industries. Lynda has worked for Hunter since 1984, has held positions in sales, education and training. In her current position, Wightman assists with Hunter’s efforts worldwide in specification, education and allied association representation. She is involved in numerous industry associations including ASIC, STMA, NALP, ASLA, Irrigation Foundation, IA, CLCA, NIAAA, NRPA, ASBA, EEBA and more. 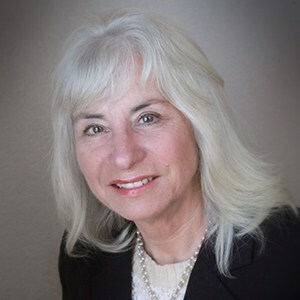 Lynda’s leadership in advocating for professional, responsible resource management has included volunteer and board positions with ASIC for more than 30 years. Lynda has been generous with her unlimited energy and expertise – not only to ASIC, but the irrigation and green industries in general. Lynda is currently serving on the Board of Directors. 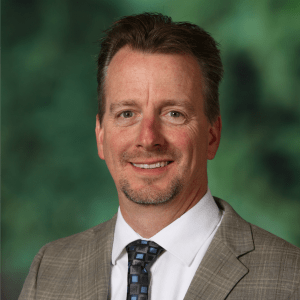 Irrigation Consultant Jim Barrett, FASIC, President of James Barrett Associates LLC, (JBA) is a Past President of ASIC and is currently serving on the Certification Committee, Awards Committee and Fellowship Nominee Committee. He has contributed to the irrigation industry and ASIC at many levels with his time and energy. Jim is a former member of the IA Board of Directors, plus served on its history, bylaws, standards and technical committees. Jim’s service to the industry through leadership, publishing and training seminars has raised awareness and respect for the entire profession of irrigation consulting. Jim has always exemplified the spirit of irrigation consulting with his professionalism, personal integrity and service to his clients.